Watch out kids, angry sports betting Nicolas Cage is back with a vengeance this week! This week’s bad sports betting beat in the NFL has our favorite lunatic actor raging on one specific Green Bay kicker. Hate em or love em, the Green Bay Packers are one of the most popular sports franchises in all of sports. Because of this, more individuals tend to bet on them. Hate him or love him, Nicolas Cage is one of the most dynamic and entertaining actors of this generation. No, we don’t care that this fact has little to do with this post. 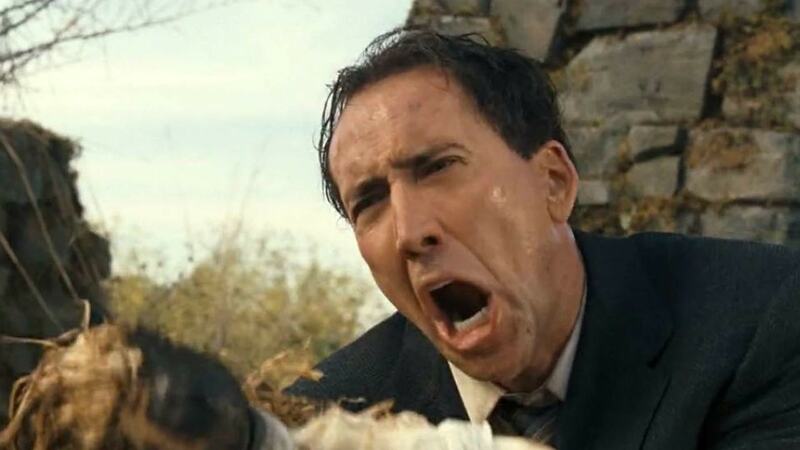 In all seriousness, if you hate Nicolas Cage’s acting, you’re an idiot, and we don’t trust anything you say. Anyways, this week, we’ve got a two-for-one special. The Green Bay Packers kicker that shall not be currently named failed sports bettors on not one, but two bets in the same game. No other NFL game this weekend can compete with the effect that one person had on their game. If sports betting Nicolas Cage bet on both the Packers and the UNDER, he would fly to Green Bay, recreate his box office hit Face/Off on Mike McCarthy, then rip off the GB kicker’s kicking leg and beat him with it. The opening sports betting lines in had the Packers More than 60% of bettors bet on the Packers in Vegas. Despite this, the closing line on this game had the Packers anywhere between -1 and +1.5 in Vegas. Still, Aaron Rodgers was playing. As long as Rodgers is playing, the Packers have a chance to win. In fact, Vegas oddsmakers consider whether Rodgers is playing as the biggest sports betting line mover in the NFL. Even better, against the Lions, Rodgers owns a 13-3 record. That record includes a loss back in 2010 when Rodgers left the game due to a concussion. Green Bay bettors had every reason to feel picking them was a great bet. You all know what happened next. The kicking game from hell happened. While Rodgers lost not one but two fumbles in the first half deep in Packers territory, setting up the Lions for ten easy points, that paled in comparison to that GB kicker’s woes. Three of the missed GB missed field goals occurred in the first half in distances where that kicker converted eight out of nine tries leading up to that game. Don’t forget, the game was played in a dome, so that kicker can’t blame it on the weather. Even though Green Bay couldn’t come back, bettors on this game had another reason to hate that GB kicker. The UNDER Bet Was Still Alive…Or Was It? Most sports betting sites and casinos initially set the O/U at 51, with some as high as 51.5. Enough people bet on the UNDER that the O/U moved down to as low as 49.5 at kickoff. We’re guessing this happened because Green Bay entered the game without their #2 and #3 wideout. With 19 seconds left in the game, the score was 31-20. Green Bay had no timeouts and had the ball at their own 23. While some bettors on the UNDER already lost, a lot of UNDER bettors had at least the chance to push at a 51 O/U. However, Rodgers completes a 54 yard pass, and McCarthy decides to let the Packers kicker try a field goal to get his confidence back with seven seconds left and no chance at winning. Sure enough, the kicker converted, despite a day where he missed four field goals and one extra point. We won’t speak on which sports betting beat was worse. However, the DraftKings’ New Jersey sportsbook won more money on the Detroit Lions’ 31-23 victory than all other NFL games this past weekend. To the Packers kicker from a startup rooted in Milwaukee, we are rooting for you to turn it around. And please, for the love of God, be careful out there for sports betting Nicolas Cage. If he’s willing to punch women, he’ll do much worse to you. 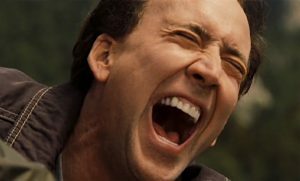 Welcome to a new series on the StakeHaul blog, where we bring together bad sports betting beats and Nicolas Cage. 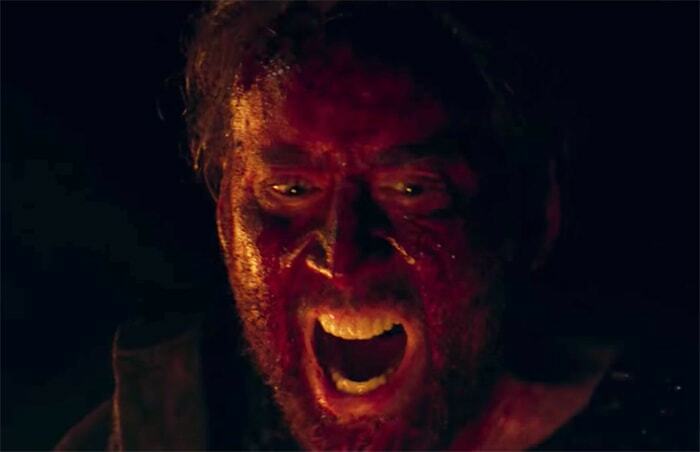 If you don’t like this series, we’ll personally send an angry Nicolas Cage to scare you into liking it. Everyone sports bettor has stories where the Gambling Gods find new ways to screw up their seemingly good bet. For example, our CEO’s father, a Green Bay Packers fan, made a sports bet against his Chicago Bears fan buddy on the Packers winning more than 4 games over the regular season than the Bears and gave his buddy +160 odds. However, they agreed on this bet the day before the Raiders traded Khalil Mack over to the Bears. Week 4 of the 2018 NFL season featured two especially awful bad sports betting beats for the losing side. Below are the games. We will rate each game based on how angry Nicolas Cage would be if he bet on the losing side. Nicolas Cage Anger Level: ????? The Colts decided to go for it on 4th and 4 with 24 seconds left from the Colts’ own 43 yard line with the score tied in overtime instead of punting it to secure a tie game. Needless to say, the Colts failed to convert. According to ESPN Analytics, the Colts made a poor decision to go for it. Colts fans everywhere threw their TV remote at the screen and made them question their loyalty. But wait, that’s not all! Afterwards, the Texans gained enough yards to get into field goal range. However, Ka’imi Fairbairn missed the field goal! Tie game, right? Hell nah, said the Gambling Gods. They laughed their asses off as Colts coach Frank Reich called a timeout right before the field goal to ice the kicker. Naturally, Fairbairn converted the field goal on his second try, giving the Texans, and people betting on Houston to cover, the win. Speaking of icing the kicker, that’s another coaching decision that been proven time and time again to backfire, according to numerous articles with a simple Google search. We imagine Nicolas Cage clubbing a baby seal in anger if he bet on the Colts here. The Jaguars were up 25-12 on the Jets and got the ball back with around five minutes left in the game. The Jaguars marched all the way down to create a 4th and Goal on the 1 with 27 seconds left. The Jets had no chance to score two touchdowns with that little time left. However, we still feel most coaches in that situation would have kicked the field goal to give themselves a 99.99999999% chance of winning as opposed to a 99.999% chance. Instead, the Jaguars go for the touchdown and convert. Also, the Jaguars went for two, but failed to convert. However, that touchdown gave people that bet on the Over the win. There is ample evidence that Jaguars coach Doug Marrone ran up the score as payback for not obtaining the Jets head coaching job following the 2014 season. We believe it. Doug Marrone being a bitter man left sports bettors taking the Under on this game even more bitter. Nicolas Cage would at first be screaming curse words after losing this bet, but we’d like to think he’d later appreciate that level of vindictiveness based on his movie villain roles.